Brine Pool Photo courtesy of Ocean Exploration Trust. The Gulf of Mexico is the most active area in the world for natural hydrocarbon and brine seepages, often referred to as cold seeps. 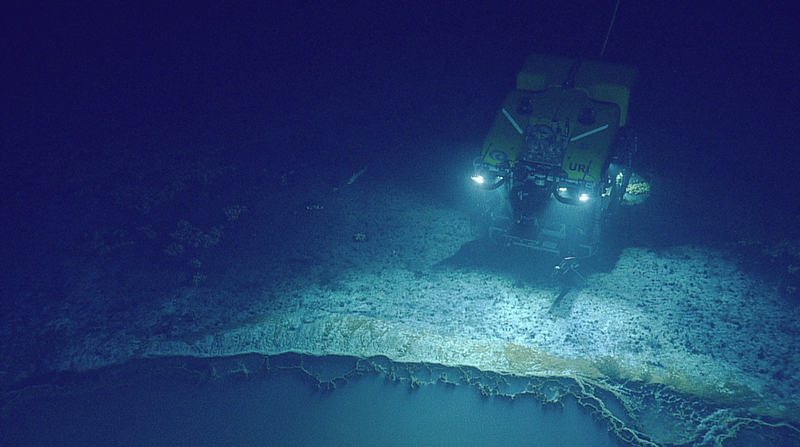 A cold seep is an area where hydrogen sulfide, brine, methane, and other hydrocarbon-rich fluids "seep" out of the ocean floor. Cold seeps occur over fissures in the sea floor caused by tectonic activity or squeezing of the sediments below the surface. Concentrated saltwater, oil and gasses move through the fissures in the rock and sediment and emerge at different points of the seafloor. Many of these sites can contain numerous individual seeps over an area of the seafloor as large as several hundred meters wide. In some cases brine pools are formed, which appear as “lakes” or “pools” in the seabed due to the high density of the brine (up to 4 times the salinity of seawater) and the slow interaction with the ocean above. 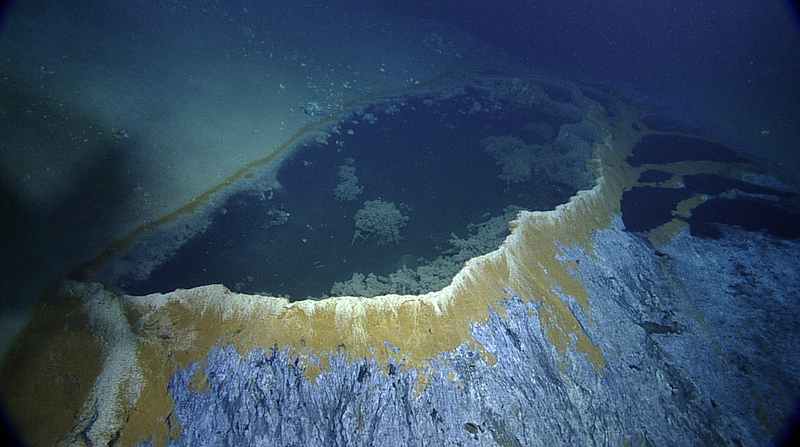 The brine pools often contain high concentrations of methane. 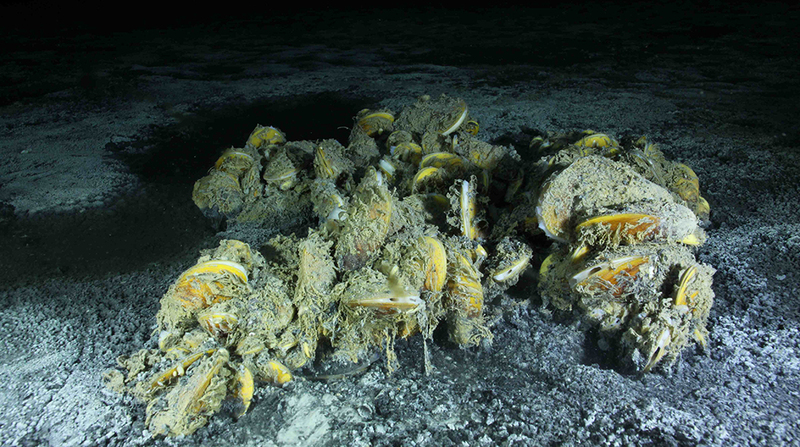 The biological communities associated with cold seeps are areas of remarkably high biological activity in the deep Gulf. 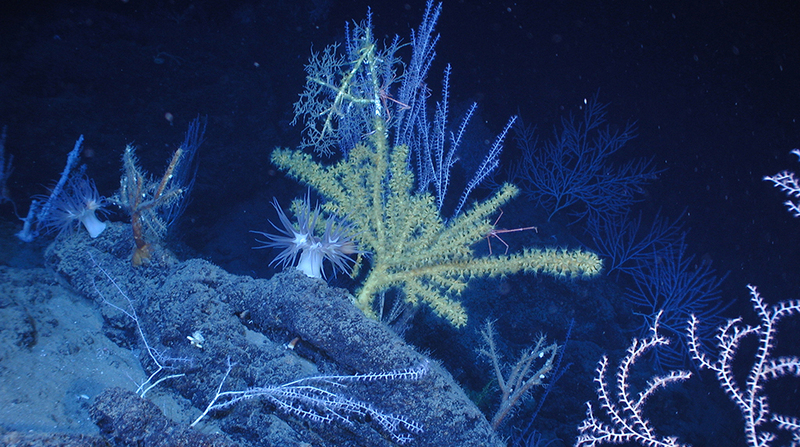 At depths below a few hundred feet, organisms cannot depend on light for food and energy production like their photosynthetic-dependent cousins nearer the surface. Instead of light, methane and/or hydrogen sulfide gas coming from the seep form the basis of the production that fuels the cold-seep community. At the lowest trophic level, specialized bacteria species metabolize methane and/or hydrogen sulfide for energy, a process known as chemosynthesis. 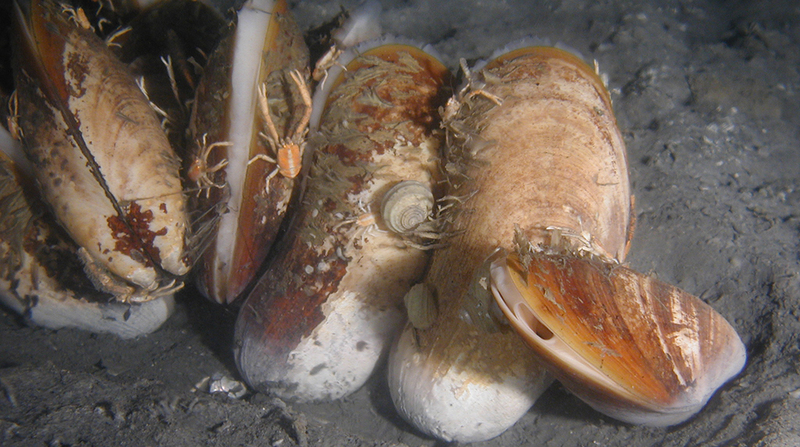 Some of these chemosynthetic bacteria live inside of mussels and tube worms and provide their nutrition. 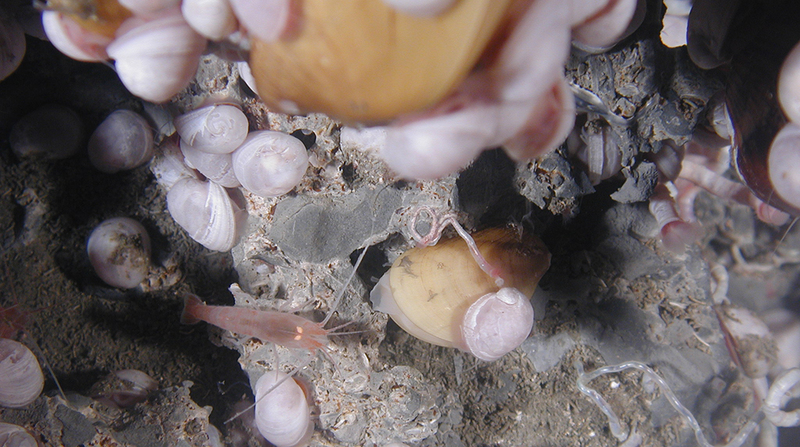 This allows the mussels and tubeworms to dominate the cold seep communities and provide structure and habitat for diverse associations of benthic animals, such as deepwater shrimp, crabs, and worms. Methane hydrates, also known as "methane ice," can often be found in conjunction with hydrocarbon seeps. Methane hydrates are ice-like crystalline forms of water and methane that form naturally under the high pressures in the cold, deep waters of the Gulf. Cold seeps do not last indefinitely and become less active as the rate of hydrocarbon seepage subsides. During the period of active hydrocarbon seepage, carbonates are formed and deposited by chemosynthetic bacteria as a by-product of oil and gas breakdown. Rocky substrates, or "hardgrounds", are usually found in association with cold seeps for this reason. As hydrocarbon seepage abates, the chemosynthetic bacteria and the animals dependent upon them die off. 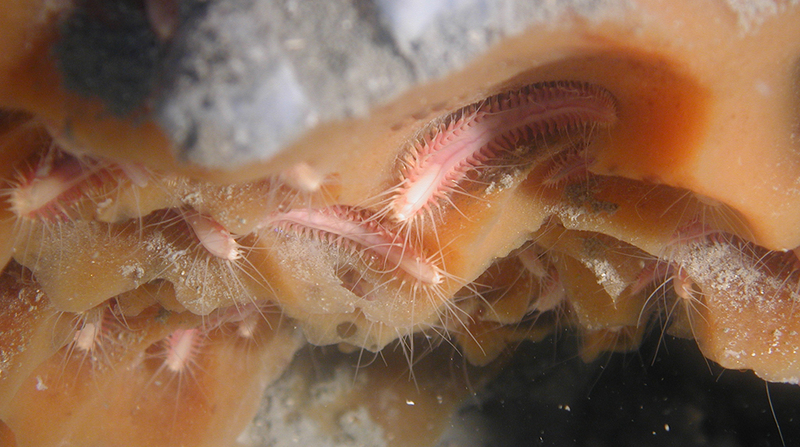 Tube worms are often able to persist for longer. 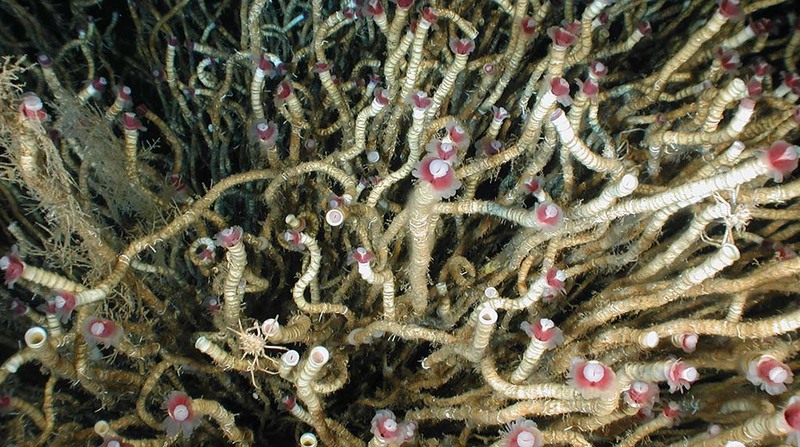 As the cold seep becomes inactive the tube worms also start to disappear, which allows corals and their associates to settle on the now exposed carbonate substrate once the methane and hydrogen sulfide, which are toxic to most animals, are gone. 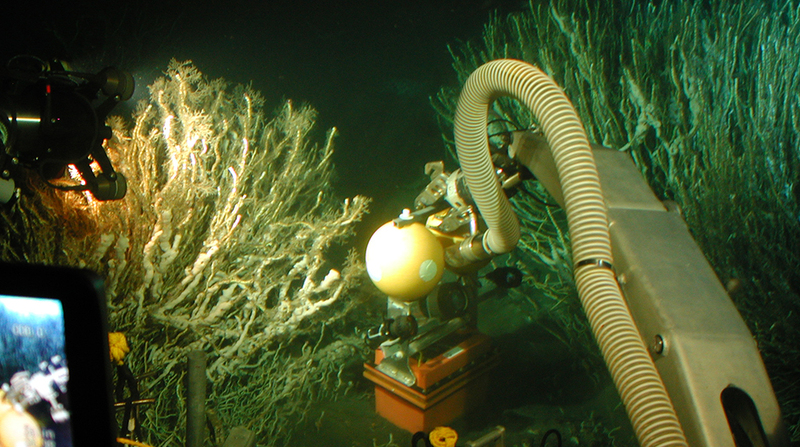 The ecology of cold seeps and the impact of the 2010 Deepwater Horizon accident on these ecosystems is a primary component of the ECOGIG research. ECOGIG Principal Investigator Dr. Erik Cordes (Temple University) talks about his work with hydrocarbon seep ecology in TedXTempleU talk "Why explore the deep sea?" 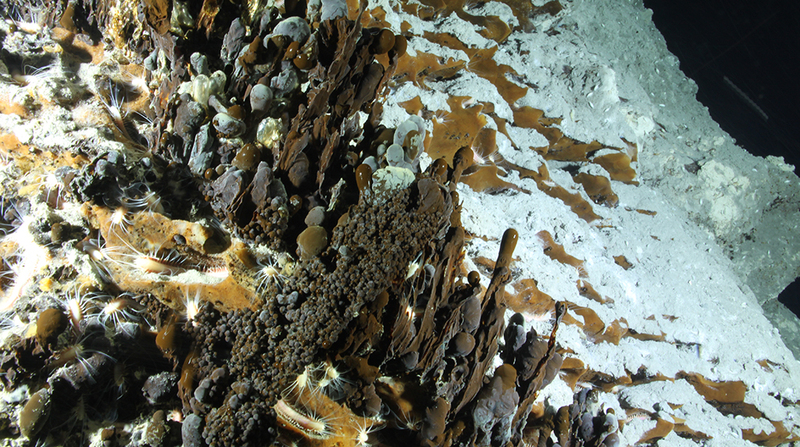 “The Ecology of Gulf of Mexico Deep-sea Hardground Communities,” by Erik Cordes. “Mission Plan,” by Chuck Fisher. 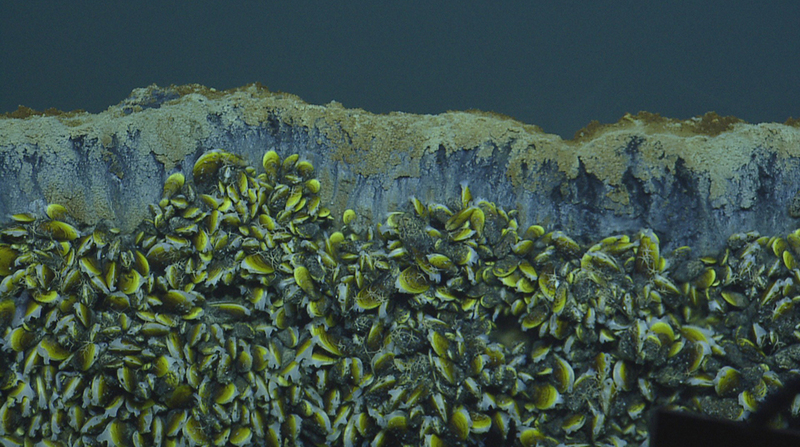 “Gas-powered Circle of Life - Succession in a Deep-sea Ecosystem,” by Pen-Yuan Hsing. Macro-Ecology of Gulf of Mexico Cold Seeps, Cordes, et al. Annual Review of Marine Science, 2009, 1:143-68.